Ireland: The 6th Galway tournament, played 4/25-4/26 in Galway, Ireland, was won by Philippe Renaut 2d. In second place trailed Geoffrey Crespino 3k and third was Piotr Gawron 6k. Result table. Turkey:The 2nd Cukurova University Go Tournament, played 4/25-4/26 in Adana, in booming go country Turkey, was won by Eren Kurter 2d. Second came Hakki Burak Guner 1d and third was Ilyas Tanguler 1d. In total 57 players participated. Result table. Norway: The Oslo Open, played from 4/25-4/26 in Oslo, Norway, was won by Paal Sannes 3d. In second place finished Oystein Vestgaarden 3d and third was Severin Hanevik 2d. Result table. Germany: The 3rd Herkules Cup, played 4/25-4/26 in Kassel, Germany, was won by Hinnerk Stach 2d. Second came Gerd Mex 1d and third was Naichun Guo 1d. Result table. Poland: In Rzeszów, Poland, freshly promoted 1 dan professional Mateusz Surma (right) organised the Rzeszów GO OPEN tournament. It took place on Saturday the 25th and was won by Mateusz himself. Second came Maciej Lubinski 1d and third was Piotr Dyszczyk 3k. Result table. 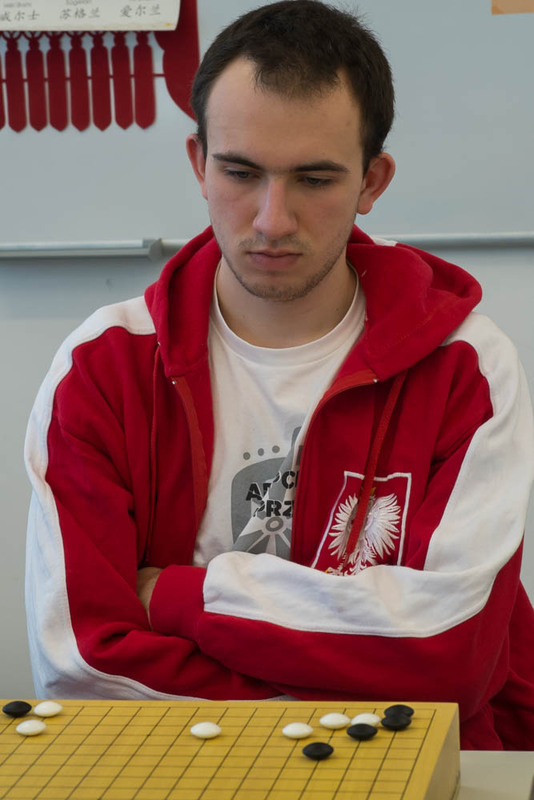 In the B-group of the same tournament Szymon Pietrucha 20k was the victor, with Ilona Wrobel 18k trailing in second place Michal Dudkiewicz 17k ending 3rd. B group results. Russia: Several tournaments took place in Russia recently, of which the Moscow Championship was the biggest with 48 participants. It was played 4/25-4/26 in Moscow, Russia and was won by by Andrej Kashaev 5d. Second came Anton Chernykh 4d and third was young talent Vjacheslav Kajmin 4d (left). Result table. 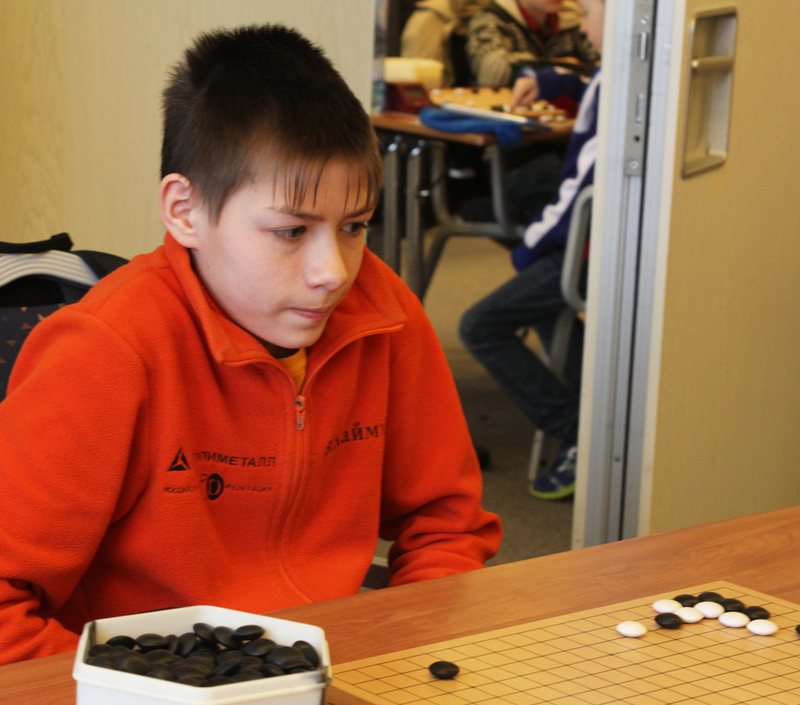 On the same weekend 26 kids participated in the Championship of Cheljabinsk Under 12, which took place in Cheljabinsk, and was won by Mikhail Podbolotov 11k. Second came Kristina Adrjushchenko 15k and Gleb Polovinkin 15k finished in third place. Result table. On Saturday 4/25 two other Russian tournaments took place in the cities of Moscow and Perm. In Moscow, the Be Ready for Go #2 tournament, played was won by Sofia Sgibneva 20k. Second came Grigorij Moreckij 20k and third was Julia Sgibneva 20k. Result table. In the city of Perm the Dancing Dragon tournament was won by Artemij Pishchalnikov 7k, second came Sergej Korolev 2k and third was Pavel Makarov 2d. Result table. Slovenia: The Vladimir Omejc Memorial, played 4/24-4/26 in Bled, Slovenia, saw many dan players. It was won by Dominik Boviz 4d. Second came Leon Matoh 5d and third was Gregor Butala 5d.Result table.